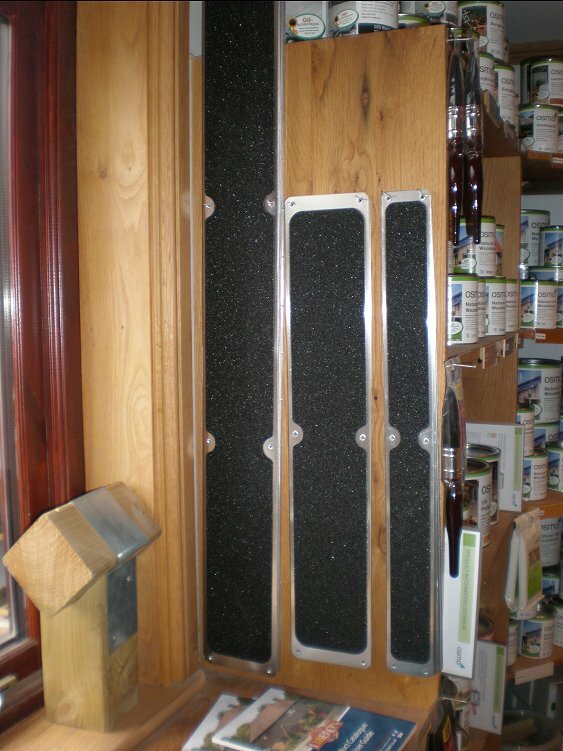 The anti slip plates have been a consistently popular part of our range for over 10 years. They are a reasonable priced option, plus they are quick and easy to fit. 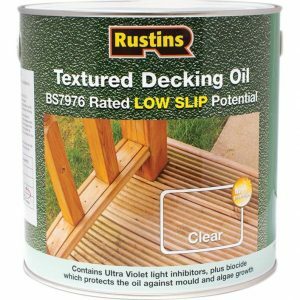 Ideal for ribbed or profiled deckboards surfaces that are constantly wet. They can be fitted using nails or screws which are also available in bags of 50. 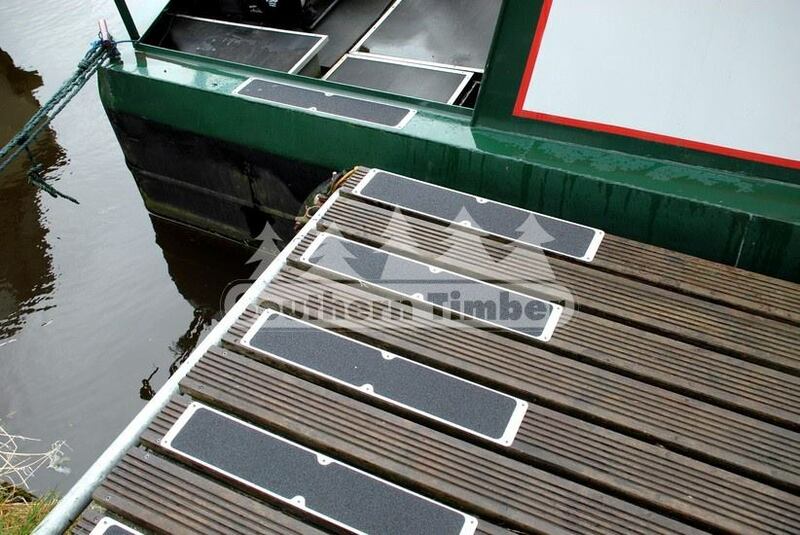 Our plates are made from weatherproof aluminium which will not tarnish in poor weather, these plates come with the adhesive black grit strip surface already fixed to them. The non slip coating covering most of the top surface and finished with rounded corners for a more aesthetic appearance. We stock our anti slip plates in three sizes, 63mm x 635mm, 115mm x 635mm plate and 115mm x 1000mm We also sell a range of stainless screws where required to fix these plates. 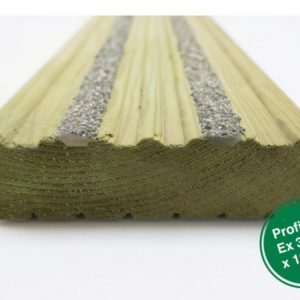 For anybody wanting a non-slip deckboard then you could consider the Millboard range of deckboards.